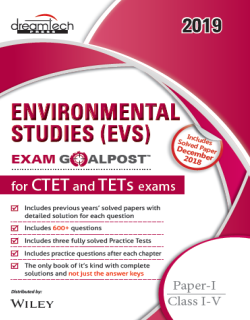 NVIRONMENTAL STUDIES (EVS) EXAM Goalpost™ Paper I, Class I-V is a subject specific self-study guide that covers the complete syllabus as prescribed by CTET. All chapters have concepts as well as practice questions that would help you in your preparation. 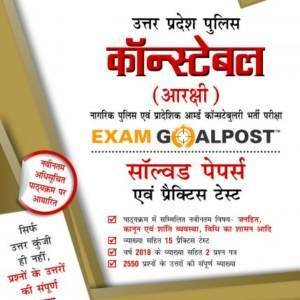 The book also contains subject specific solved questions from actual exams and three practice tests as per the exam format to help you revise the concepts and assess your progress. 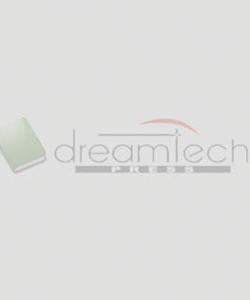 It is the FIRST book of its kind for this exam that comes with detailed solutions, not just the answer keys, for each and every question included in it.